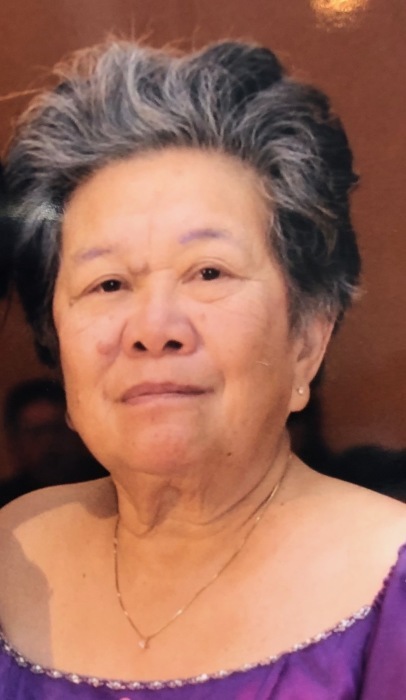 Lourdes R. Villanueva passed away peacefully at her Moss Landing home surrounded by her loving family on March 29, 2019. She was 86. Mrs. Villanueva was born to Enrico Rowan and Maria Rescate in the Philippine Islands on February 8, 1933. She migrated to the USA and settled with her family in this general area. She was a hard worker always provided for her family. Before retiring she was employed at Watsonville Cannery Co. for 30 years. She liked to take long walks, sing, travel and tend her orchid flowers. She especially loved to cook and make delicious lumpias for her family. Mrs. Villanueva was a loving and caring woman, always smiling and willing to help family or friends in need. She was a woman of faith, devoted to her religion. Mrs. Villanueva is survived by her sons, Joseph and Andrew Villanueva; daughter, Josie Villanueva; brothers, Ben and Jupiter Rowan; sisters, Gloria Lim, Mercedes Caspillo, and Rosita Seraspi. She is preceded in death by her husband Jose I. Villanueva (1980). Visitation will be held at Mehl’s Colonial Chapel Thursday April 4, 2019 from 5-9 p.m. with the rosary recited at 7 p.m. Mass will be celebrated at Valley Catholic Church Friday April 5, 2019 at 10 a.m. with burial to follow at Valley Public Cemetery.